Do You Believe (Love Is Built On A Dream) was apparently folkie Peter Janes' last single (of three), produced by Cat Stevens. It's a decent enough psych-era ballad without particularly standing out in any department, which isn't to denigrate it, especially when you consider some of the guff it was up against at the time. I mean, have you ever HEARD Engelbert Humperdinck? Cat also played Mellotron on the single, with a 'we can't afford a string section'-type part that does the job well enough, but don't go buying expensive compilations just to hear this one. Its flip, For The Sake Of Time, doesn't seem to've been anthologised yet, which could mean it's absolute crud, or could just mean it hasn't been anthologised yet. 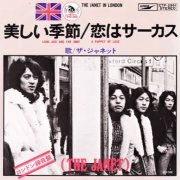 The Janet were a Japanese pop group of the 'slushy balladry' variety, of pretty much zero interest to anyone these days outside their original fanbase. Beautiful Season (possibly also called Long Ago And Far Away) is precisely that; if you really must, this is on YouTube. For what it's worth, I'm not even sure if A Puppet Of Love is the b-side or not; either way, I haven't heard it. The band came over to the UK to do some recording at Abbey Road, including this single, so someone (Osamu Shoji?) plays Mellotron strings, although, with an actual orchestra also present, I've no idea why. You really don't want to hear it anyway, take it from me. For what it's worth, The Janet also recorded a full album at Abbey Road, Green Speedway, apparently using the Mellotron again and another single, Anata E. More news should I ever get to hear them. Janina (Puerto Rico) see: Samples etc. Janison Edge have considerable connections with other current UK neo-prog acts, including Landmarq, Shadowland, Threshold and Arena, so it comes as no surprise at all to find out that The Services of Mary Goode is a bog-standard neo-prog album; it takes keyboard player Mike Varty less than seven minutes into the first song to break into a Marillion-esque 'widdly' synth part à la, er, just about everything they've done. Basically, if you don't like neo-prog, yer ain't gonna like this; it does nothing new with the genre, although Sue Element's vocals are far easier on the ear than those of several of her contemporaries. Naming no names. The album has a loose concept, based around, funnily enough, an unfortunate young lady named Mary Goode, although only half the tracks are actually about her. Like most (all?) 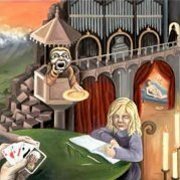 neo-prog, the vocals and lyrics assume a greater importance than with most first-wave prog, so if you're really not that fussed about what the vocalist might be singing about, you're going to miss a great deal of the album's raison d'être. Varty is credited with 'Hammond, Mellotron, Roland, Korg and Yamaha synths', so guess what gets used the most? You goddit. The band's site mentions their acquisition of a Hammond (an M111, Mike tells me), but says nothing about the Mellotron, which turns out to be Clive Nolan (Pendragon, Arena)'s ex-IQ M400, with yer standard strings/flutes/choir tapes on board. It's the source of the background choirs and strings that can be heard on a handful of tracks, and the one upfront part, the near-solo string part towards the end of the last track, The Services of Mary Goode, Part IV. Not the greatest use ever, but not a disaster. So; average neo-prog, very little 'Tron. One for the Pendragon fan in your life. The band's website promises activity 'sometime soon', but without any indication of when this may've been written, it sounds like a rather hollow promise. Oh well. 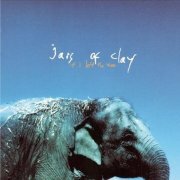 Laura Jansen, who has musical links with both Joshua Radin and William Fitzsimmons, is an L.A.-based Dutch singer-songwriter, whose music could easily pass as typically American; probably the desired effect, although losing her any chance at originality. 2009's Bells is her debut album, consisting of piano-driven songs, not unlike those of her '70s influences; good enough at what they do, I'm sure, though distinctly unexciting to those of us who demand something a little more, well, demanding. Jansen plays Mellotron herself, with flutes on Come To Me, alongside real strings, all other strings on the album sounding real. So; another so-so female singer-songwriter. Does the world not tire of such? OK, just me, then. 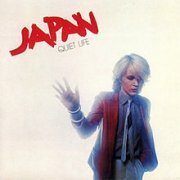 By Japan's third album, Quiet Life, released in the dying days of the '70s, they had tired of their early glam sound and image, turning sharply towards synths as the way forward. The end result was a triumph, highlights including the opening title track (question: do you think Duran Duran may have heard this? Just remotely possibly? ), the more introspective Despair, In Vogue and closer The Other Side Of Life, the nearest it comes to a weak spot being their cover of The Velvets' All Tomorrow's Parties. One of my many correspondents (hi, Leo) contacted Richard Barbieri on the subject of the album's Mellotron use. Barbieri: "It was a Mellotron. Recorded at Air Studios. With the choir sounds in Halloween it was mixed with a voicy sound from another source. Either the Roland your friend mentions, my [Roland] System 700 which has great voice tones or the choir setting on my Solina string synth. Mellotron flutes on Alien. No Mellotron on Foreign Place. Despair: Just gave that a quick listen and have to admit I'm not sure. Personally I don't think it sounds like mellotron voices but I could be wrong." I'd say not, for what it's worth. A Foreign Place? An outtake, added to CD versions as a bonus. Japan would go on to make another two peerless albums of unearthly pop before imploding in recriminatory fashion; since Mick Karn's death, any even remote chance of a genuine reformation has disappeared. Japancakes (US) see: Samples etc. 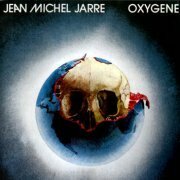 Jean Michel Jarre tends to be regarded as a lightweight by Electronic Music aficionados, but upon re-listening to his first two widely-available albums, Oxygene and Equinoxe, I'm really not sure what the problem is. Too much melody, maybe? Any melody? You may think you've never heard these albums, but you have. Ideal background music on TV, Jarre would've made millions even if nobody bought the things. But they did. And then some. I suppose they're the 'easy listening' end of EM, but they're way better than just about any 'new age' drivel you're likely to hear, although I wouldn't exactly call them 'challenging'. But then, why should they be? I think most of us like the proverbial 'good tune', at least every now and again and Jarre expertly combined an innate tunefulness with an understanding of synthesized music that was second-to-none. Oxygene actually contains a major hit single in the snappily-titled Part IV, but Part II is equally memorable and it has to be said, the album works really well as a complete piece, despite its status as a second-hand shop regular. There's not actually that much Mellotron to be heard; in fact, all I can hear is flutes and choirs on Part II, although I've heard rumours that it's all over the thing. That'll be the really quite lifelike Eminent string synth then (the twin-manual forerunner to the legendary Solina). If you're reading this, you probably own a copy anyway, but if not, I can recommend it highly, if only as background listening. 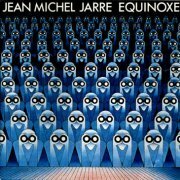 A first glance, Equinoxe seems to be Oxygene revisited, but it takes a while to get going, sounding at first like Jarre's melodic invention has deserted him. Part 4 gives the lie to that, however and by Part 5, we're back in Oxygene (Part IV) territory. So why is it that he put the catchiest track at the beginning of side two on both of these albums, anyway? The rest of the side keeps up the quality levels, so I think it's fair to say that if you like Oxygene, you'll like Equinoxe. Even less Mellotron than last time round, with what sounds like male voice choir on Part 4, so don't go buying it expecting any sort of 'Tron-fest. 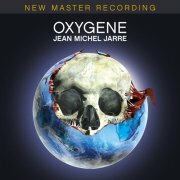 After nearly twenty years of increasingly infrequent releases, none of which adequately matched his first two albums for consistency or quality, Jarre gave in and recorded the belated follow-up to Oxygene, Oxygene 7-13. 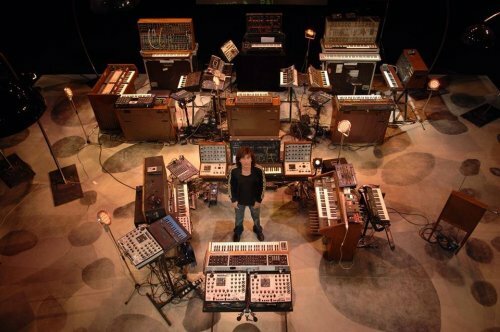 It's amusing to note just how many of the instruments he used on the original are listed again here: apart from the Mellotron, there's an ARP 2600, a VCS3, an AKS synth, something by RMI and the inimitable Eminent. Unsurprisingly, Oxygene 7 opens with Oxygene Part IV's long-lost brother riff, before moving through various typical Jarreisms over its 11 minute-plus length. The rest of the 'album length' album (no hour-plus effort here) sticks fairly closely to the original template, while adding a certain contemporary 'something', mainly in the drum programming and sounds. Jarre has finally discovered Mellotron strings; 7 has both choir chords and echoed 'stabbed' strings, with more regular string parts on 8 and 9. 11 has some expertly-played string pitchbends (hope they're genuine), with the other two listed tracks featuring less of the same. 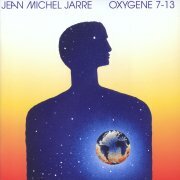 Jarre's released three albums since Oxygene 7-13, but I don't believe there's any 'Tron on any of them. There is, however, a video available from a gig he played in Moscow a few years back, where he not only features a perspex-backed and interior-lit Mark II (!) on one piece, but also has a regular M400 hidden away on stage, played by someone else. It seemed like he'd mothballed his analogue gear again, until ten years after Oxygene 7-13, when, to mark its 30th anniversary, he recorded Oxygene (New Master Recording), a total re-recording of the whole album, using three other musicians and a raft of old gear. To absolutely no-one's surprise, it sounds an awful lot like the original version, to the point that, without doing a note-by-note comparison, I can't tell the difference. Of course, the 'Tron part is the same, with choirs on Part II, although this time it's played by Dominique Perrier. As far as the albums listed above are concerned, you'll either like what he does or you won't, basically. It's not difficult to listen to, but many people are put off by their seemingly bland approach, although I maintain that they all have hidden depths. The two '70s albums, while very good, really aren't worth it on the Mellotron front, but 7-13 most certainly is, so if that's what you're after, that's where I'd start. Er, anyway... Only one obvious 'Tron track, as keysman Charlie Lowell adds an interesting pitchbent string part to Collide, heard clearly on the track's fade, with a 'slide' down the keyboard that sounds authentic enough to actually be real, although given Counting Crows' (presumably genuine) Mellotron and Chamberlin work, maybe it isn't that surprising after all. Generally speaking, you probably don't need to hear this album, although at least its first half avoids offensiveness; its worst crime is dullness, really, which you could level against most of the music ever produced. And I do. Anyway, one unusual 'Tron track, vaguely worth hearing as long as you don't have to pay for it or anything silly like that. Jarvis (UK) see: Samples etc. Jason Crest (who he?) were yet another late-'60s UK psych outfit who managed to skilfully evade fame and fortune, despite being as good as many of their better-known contemporaries. Metamorphosing from Kent outfit The Good Thing Brigade, they were signed by Philips, but a combination of bad luck and label mismanagement conspired to scupper their career over the course of five unsuccessful singles. After beginning with the excellent Turquoise Tandem Cycle, they were manoeuvred into releasing the almost-kid's song Juliano the Bull, the Move cover (Here We Go Round) The Lemon Tree and the rather limp Waterloo Road, before being left to their own devices for their final effort, the truly excellent A Place In The Sun, backed with the disturbing Black Mass. There seems to be a little confusion over which track was on the 'A', but I think it's safe to say, no record company in their right mind would've allowed Black Mass anywhere near an A-side, with its backwards drumming, doomy organ and vocalist Terry Clarke's unearthly screams. The band's odd name came from a slight reworking of their own song The Collected Works Of Justin Crest; maybe the "Who exactly is...?" confusion aided their undignified plummet into obscurity? It certainly wasn't the quality of their songwriting; Turquoise Tandem Cycle is a marvellous slice of '67-style psych-pop, A Place In The Sun is truly excellent, and several of the non-singles could well have passed muster on 7". Maybe their style was the problem; things were changing so quickly at the time that being a whole year behind the times in '68 was enough to finish a band off. A pity. There's a (currently) vinyl-only set, Radio Sessions, that does exactly what it says on the tin, while Collected Works gathers together their entire studio output, that being all ten sides from their five singles, plus six tracks from acetates. Although a handful of their single sides are rather disposable, the bulk of their material is excellent; it's a real shame the band didn't get to record the album they'd planned at the time. Given that they didn't have a keyboard player, at least half the tracks are smothered in period instrumentation, including harpsichord, organ and (if only on one track) Mellotron; A Place In The Sun is a gentle, 'Tron-laden ballad with flute melodies scattered throughout, with some sublime string chords underlying most of the song. A must. 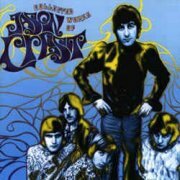 So; an excellent compilation of an underrated band's output, a must for UK psych fans. OK, only one 'Tron track, but it's a bit of a monster, and several other tracks (notably Black Mass) are must-haves, too. Top marks to Wooden Hill for this one. Buy. 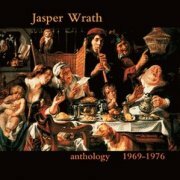 The Jasper Wrath story is rather convoluted: forming in 1969, their intricate psych/prog sound impressed MGM Records enough for the label to release an eponymous album in 1971. After lineup hassles and a temporary split, they carried on gigging with new members, released a single in '75, recorded some more material in a Yes vein, then split the following year, various alumni going on to play with Grace Slick, Michael Bolton, House of Lords and other '80s horrors. The band are possibly known chiefly for being the victims of a scam perpetrated by Dellwood Records, a notoriously dodgo tax-scam outfit, who released two albums of their studio recordings in 1977 under different names, Arden House (Coming Home) and a self-titled release by Zoldar & Clark. Royalties? Very funny. In the mid-'90s, drummer Jeff Cannata compiled a two-CD set, Anthology 1969-1976, an incomplete, but invaluable overview of the band's history. Disc one opens with a handful of tracks from that first album, going on to both sides of the single, a handful of 'unidentifieds' and some material from the Zoldar album. Unfortunately, the quality plummets the moment the laser hits the groove on disc two, as we're 'treated' to three pieces of proto-AOR nastiness, before suddenly lurching back into another Zoldar track. However, having finally traced a tracklisting for the Arden album (thanks, Sam), it would appear that the only two tracks from it here are on disc one, presumably making these sorry efforts previously unreleased (and should have...). The last part of the set collects together various demo and live tracks, most unavailable in any other form, as far as I can ascertain. Best tracks? Maybe Odyssey from their early work, Follow Me Down, the jazzy Lunar Progressions, The Ghost Of Way, Somewhere Behind The Sun and Somewhere Beyond The Sun, but, those three tracks aside, almost everything here's worth hearing. If you'll allow me, I'll repeat the band's 'Mellotron story' from their Wikipedia page. It seems Cannata and keyboard player Michael Soldan approached Wake Rickman, sorry, Rick Wakeman backstage at a Yes gig in the early '70s to ask him about his machine. Rick allegedly replied that, "There are only three in the world. King Crimson has one, The Moody Blues and Yes, and the cost is around $16,000 if you can even get one". Er, y'wot, Rick?! Either pissed or on the wind-up, or maybe both, I suspect. Anyway, during the band's temporary hiatus, Cannata and Soldan travelled to the UK, picking up a second-hand M400 for £700 during their stay; still a lot of money, but not quite the astronomical sum they'd been 'quoted'. There's actually less Mellotron here than I'd expected (all from Soldan), three tracks also available on the Zoldar album, others probably hailing from Arden House. As far as disc one's concerned, we get huge choir chords opening Follow Me Down, with strings later on, lush strings on Father, eerie string chords on Lunar Progressions, a polyphonic cello part opening The Ghost Of Way, with choirs and strings later on and a brief string part on Pleasure Trip, making me think they had an unusual strings/cello/choir tape-set in their machine. Disc two gives us strings on Now Is The Time (from the Zoldar album), more strings on the live Somewhere Behind The Sun and the demo of The Dream and cello on the Somewhere Beyond The Sun demo, with strings and choirs towards the end, making for a reasonable Mellotron quotient, if not quite the overwhelming experience I'd vaguely expected. All in all, then, three tracks aside, well worth hearing, although it's a pity Cannata didn't make it longer (there's nearly thirty minutes of blank disc-space here) and add a few more of the missing tracks from their catalogue. Overall, though, highly recommended to anyone who enjoys '70s US progressive, with plenty of Mellotron for, well, you lot, I suppose. Worth the effort. Rickard Jäverling (Sweden) see: Samples etc. 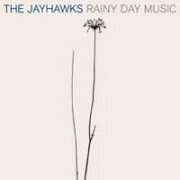 2003's Rainy Day Music pleased long-term Jayhawks fans by returning to their country-fuelled roots, although, sadly, they lost any experimental edge they may have had in the process. Decent enough songs, but nothing especially outstanding, at least on an initial listen. 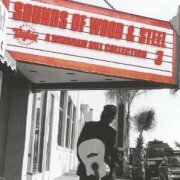 Supposedly Chamberlin from producer Ethan Johns and Richard Causon, with a nice full-on string part on Don't Let The World Get In Your Way and more of the same on You Look So Young and Tampa To Tulsa, though the strings on Will I See You In Heaven sound real. Starkweather plays Mellotron on Contois, but you'd hardly call it the most upfront use ever; despite there being hardly anything happening at the beginning of the piece, it's extremely difficult to determine what might be being used. Distant, heavily-reverbed strings? It's the nearest you can get to 'inaudible' without actually being so. Jazz and mandolins, then. 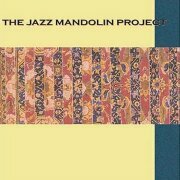 It'll work for some of you and not for others, is all I can say, but don't bother with The Jazz Mandolin Project for the Mellotron. 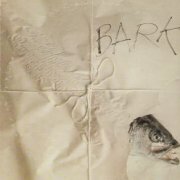 Bark was Jefferson Airplane's sixth album, audibly chronicling the band's slow dissolution with its severe lack of focus. I know the Airplane were always pretty varied, but hardly any track here sounds like any other, aside from the vocal harmonies, which act as some sort of musical glue. That isn't to say there aren't any decent tracks here, but it's a long way from their classic, Surrealistic Pillow, all of four years earlier. I've no idea who played the Chamberlin on the bizarre Never Argue With A German If You're Tired Or European Song, complete with Grace Slick's deadpan delivery of her cod-German lyrics, but it features flutes, brass and, above all, that exceedingly strange male solo voice that can be heard on the Indescribably Delicious and Judy Henske/Jerry Yester albums, amongst others. Maybe Slick herself? Anyway, on the remote offchance that you could hear this and not realise what it was, at one point you can hear a vocal tape choke off, fact fans. So; probably not the Airplane's finest hour, but surely their finest (OK, only) Chamberlin performance. Do you buy this album? Yes for Airplane fans who haven't heard it, maybe for Chamberlin obsessives, probably not for the rest of you. 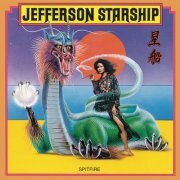 Around 1974, the estimable Jefferson Airplane fragmented and Jefferson Starship rose from the ashes, like a slightly bedraggled, rather mainstream phoenix. 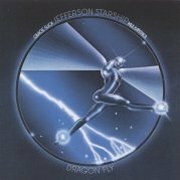 Dragon Fly isn't really any more than a typical mid-'70s US hard rock album, to be honest, despite the accumulated talent it boasts; the songs are OK, but not the sort of thing anyone's really going to take much notice of these days. Keyboard and bass duties are shared between Pete Sears and David Freiberg (who'd previously been part of the Kantner/Slick/Freiberg trio who released the Baron von Tollbooth and the Chrome Nun LP a year earlier), but even without proper credits, it's obvious that it's Freiberg playing the Mellotron. Four tracks only, by the sound of it, with Ride The Tiger and Be Young You featuring reasonable amounts of rather low-in-the-mix Mellotron strings and Caroline and Hyperdrive (probably the album's best track), with even less of the same. The most interesting thing about their Mellotron use is when Papa John Creach's fiddle rides over it; a combination not heard often enough, in my opinion. After '75's Mellotron-free Red Octopus, it made its return on '76's Spitfire, albeit in even more of a supporting role than before. The album consists of more of that mid-'70s radio rock, although, as on its predecessor, Paul Kantner gets a couple of his slightly more complex efforts in (Dance With The Dragon, Song to the Sun: Ozymandias/Don't Let It Rain), though not enough to really elevate it above the mundane. Pete Sears on Mellotron this time, with strings on Cruisin' and Hot Water, at least as far as I can tell; with string synth and real strings too, it's all a bit vague. Literally only a few chords, anyway. 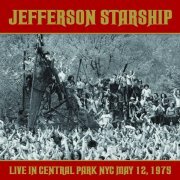 Live in Central Park NYC May 12, 1975 is the long-awaited official release of a much-beloved bootleg, documenting the band's free concert in front of over 100,000 'well lubricated' fans. Given that they were yet to release their second album, the set relies heavily on material from not only the Airplane, but also several solo projects, including albums by Slick, Creach and Balin. Highlights? The propulsive The Witcher, Devil's Den and the closing salvo of the Airplane's Somebody To Love and Volunteers, but many of the over-extended tracks remind the discerning listener of why this kind of stuff was regarded as bloated and egotistical by rock's New Guard, about to emerge, blinking, into the daylight. Freiberg plays low-in-the-mix Mellotron, with naught but occasional strings on Caroline, although the waters are muddied in places by his use of a string synth, notably on Have You Seen the Saucers. As far as the Starship's studio releases are concerned, this is yet another pair of 'difficult to really recommend on any front' albums, sadly; timewise, they falls into that awkward area between hippy idealism and all-out commercial claptrap (both generally and in relation to the Airplane/Starship axis), and I suppose the same could be said of the music, although they were clearly a lot better (if somewhat self-indulgent) live. I paid 50p for Dragon Fly (under a dollar) and even less for Spitfire; I suggest you pay little more. Not unpleasant, but highly undemanding. 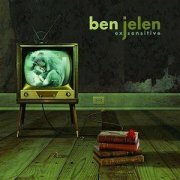 After signing to Linda Perry's Custard label, 'Scottish-born American' Ben Jelen's 2007 release, Ex-Sensitive, is far better than 2004's Give it All Away (here), although how much of that's due to a cheese reduction, as against stronger songwriting, is hard to tell. The songs themselves are pretty lightweight, but sympathetically arranged, Perry adding Hammond to most tracks in a reasonably pleasing manner. Damon Fox of the incomparable Bigelf plays Proper Rock Guitar and Mellotron, with string and choir parts on opener Pulse, including a neat pitchbend at the end of the song, more strings on the title track, Counting Down and towards the end of Not My Plan and flutes and strings on Just A Little and Wreckage. 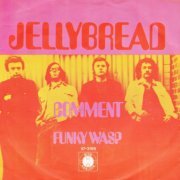 Jellybread were Pete Wingfield's first major outfit, forming at Sussex University in the late '60s. The original band made three albums for Blue Horizon, all solid Brit-blues efforts, if a tad unoriginal, before splitting in '71 and reforming, without Wingfield, for one final album. 1970's Comment was a non-album single in classic blues ballad mode, the flip, Funky Wasp, an energetic, instrumental boogie-woogie workout. Wingfield plays heavily-reverbed MkII chordal strings on the 'A', alternating with Hammond, although the flip is, of course, all piano. Worth hearing? Kind of, chiefly for the Mellotron. Jellybread's best song? Undoubtedly Evening, a slow, murky blues from their eponymous 1969 debut.